After a brief glance at the stunning new Zelda title, Breath of the Wild, the Nintendo Treehouse team sneakily tried to distract us with news on the latest Pokémon instalments, Sun and Moon. Whilst that all looked cute and pretty worthy of a play-through at some juncture, I’m sure that it wasn’t only me that was itching for them to get back to the good stuff. After almost an hour of Pokémon battles and exploration of the new Alola region, whilst this was the first live demonstration of it’s kind at this stage of development, it went on for far too long. Link can jump! He can finally bloody jump! He can climb walls and scale the mountains, this is glorious news. There is also a huge amount of items found around the world, which Link can just pick up, we even see him climbing a tree for apples which he then cooks. This is also something pretty new to the game, and he can incorporate all these new items in the gameplay. 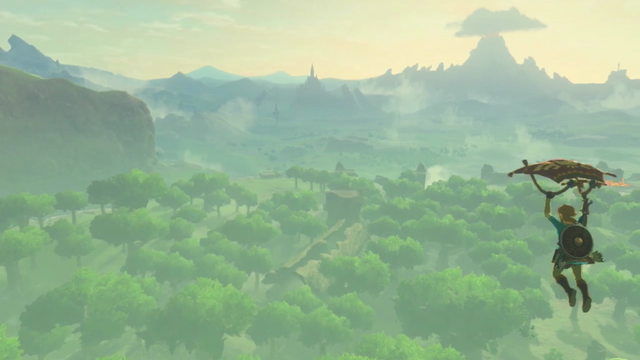 My word, the map looks absolutely ridiculous in size, and we’re only getting a glimpse with the Great Plateau. We get a glimpse of of combat for the first time, with a focus on taking your enemies’ weapons after battling with them, as your own become damaged and can break. Health is found through food items, which all have a different heart container value, this is a total move away from replenishing your health through enemies dropping it and really putting a focus on making use of the resources found in the world. Link isn’t just going to find health by beating down enemies or chopping up grass this time, you’ve gotta work for those hearts. And nomm, all about the nomming. There’s talk now about the stunning artwork of Breath of the Wild, heavily inspired by Japanese animation. 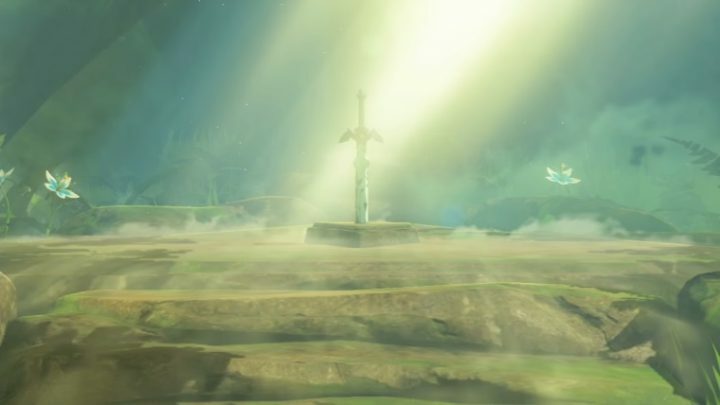 It really does look beautiful and we’re getting a better idea of this as we see Link in action. The world offered up in this instalment, whilst reminiscent of previous Zelda games, also shares similarities with the modern and immersive RPGs such as Elder Scrolls or Witcher. 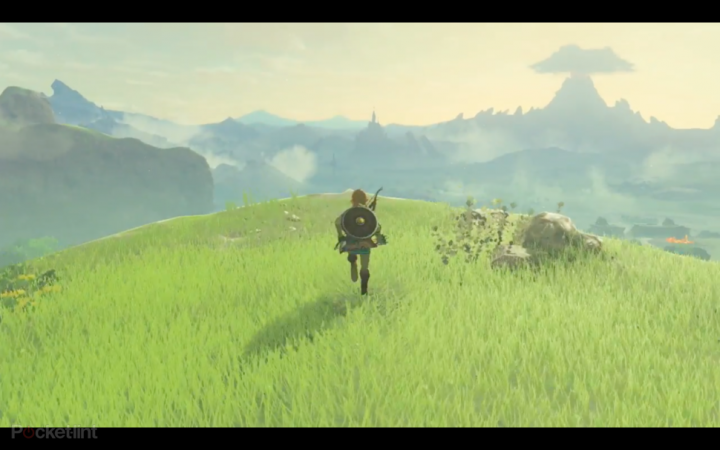 This is a huge deal for Zelda fans, as we’re finally being treated to a truly vast world and an exploration on a whole new level. Another change here is a bigger focus on environmental sound, rather than the standard soundtracks which we all know and love. Fear not, these aren’t gone, there’s just more of an effort here to truly immerse us in this world. That’s all for now, with promises of puzzle footage and more information on story elements later. You can tune in and joing the party below!